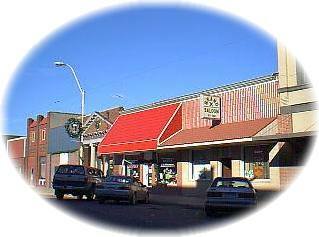 Dodge is a small thriving community of 800 located just off Highway 91 in northwest Dodge County. Receiving many compliments on its neat appearance and friendliness, it is a place where neighbors form friendships and children can safely ride their bikes or walk anywhere in town. Dodge is a great place to live, work and raise a family. Early settlers, many of whom were German, Czech, and Polish immigrants, were encouraged by persistent rumors of a railroad to be built between the Elkhorn and Platte Rivers, and by 1886, the city of Dodge was platted. Disaster struck on September 16, 1895, when fire destroyed the entire business district and one-fourth of the residential area. Rebuilding was soon underway, through financial and material assistance from the large surrounding area. This time, however, buildings were constructed of brick, most of which are still standing today. Man is quite the creative being. But possibly man reaches his greatest creative heights when he builds a town where before there was only a hill or a valley, a prairie or a wood. For it's then that man comes closest to creating something in his own image ... a living, breathing thing that laughs and weeps, that revels and suffers, that grows up and gets old. Oh, there are those who see in a town only the lumber and nails that make its houses, the bricks and mortarthat make its buildings. There are those who see in a town only the size of its revenue and the amount of its trade. And there are those who measure a town by the area it covers or by the number of its population. But these things constitute only the body of a town. It is the people who furnish the community spirit that gives the town a heartbeat, the community pride that courses through its veins, the courage that gives a town character, and the charity that gives a town warmth. It is the people who supply the good citizenship that makes a town live, prosper and grow, year after year. Finally, it's the people who breathe into a town a soul, who make it possible to look back on 100 years of a proud history and to look ahead with even greater hope to the future. Located on the West side of the Dodge City Restaurant in downtown Dodge.